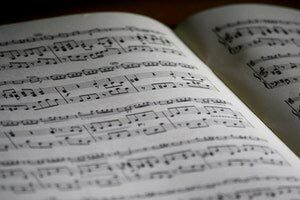 While Translation Services USA does not provide music transcription in the traditional sense of the word—that is, converting the performance of music into sheet music—we can provide lyric transcription services to transcribe lyrics from a recorded version of a song. Whether you have a recording of a live performance you'd like to get a transcription of, or you're releasing a record, CD, or other project and need a verbatim transcription of the audio for liner notes or other purposes, we can help! When we produce transcription for music, we only use professional, human music transcribers with experience and a proven track record for the transcription of music. We will never use any software or other service or application to produce an automated transcription of lyrics, as we know as well as you that the results are often poor and inaccurate. If you need to transcribe lyrics or have any questions about the process of transcription for lyrics, contact us now for a free quote, or to talk to one of our friendly representatives.